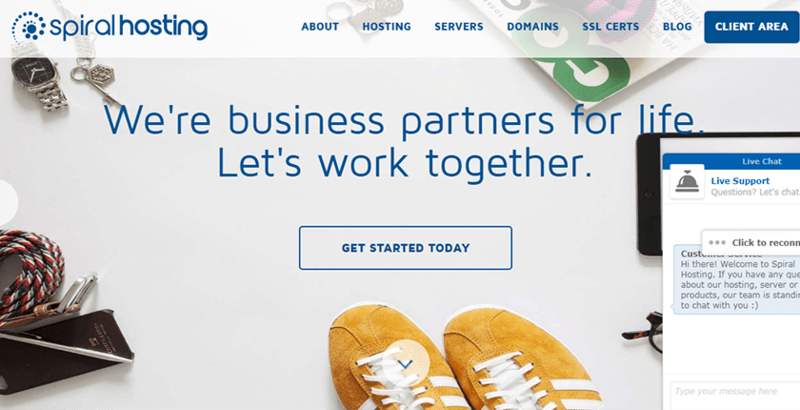 Spiral Hosting Review 2019: Is Spiral Hosting a Good Hosting? While many hosting providers tend to overpromise and then underdeliver their customer support, Spiral Hosting has made their mark on the industry with their commitment to their customers. Founded in 2006, they now operate eight data centers around the world. Founded in 2006, Spiral Hosting is an Irish hosting provider with eight data centers around the world. They stand out with their commitment to quality and dedication to their customers. Their services are available only in English, but they do support multiple currencies including European, British, American, Australian, and Canadian. Spiral Hosting has a solution for businesses of all sizes, whether a budding startup or a large corporation looking for enterprise-scale web hosting. They feature a range of shared, cloud, and reseller hosting packages along with cloud virtual servers and custom-built dedicated servers. These locations include London, Dublin, Amsterdam, Montréal, Singapore, and Australia, so you’ll definitely have access to a location relatively near your target audience. Every shared hosting package includes the Softaculous one-click app installer, which will enable you to easily install popular scripts such as WordPress, osCommerce, phpBB, and Joomla!. The automatic daily backups are a nice perk, particularly for WordPress users – you never know when one of the third-party scripts is going to corrupt your installation. Not only does the SSD storage mean faster load times for your visitors, but every cloud server is capped at ten clients – meaning even if one website on the server experiences a surge in traffic, there’s a huge buffer that will ensure that your website remains at optimal performance levels. You get the same app installer as with the shared hosting package, of course, so you can easily install any of the platforms necessary for your e-commerce website. Spiral Hosting’s packages are reasonably-priced, especially considering the dedication and quality of service you’ll get from their customer support team. They have a monthly payment term available for second-tier packages or higher, but you’ll get better discounts when you opt for an annual or biennial contract. They don’t have any free plans or trials available, but they do offer a 30-day money back guarantee with no questions asked. You won’t get the refund automatically upon canceling your account, however. You’ll have to contact their customer support for the refund. Spiral Hosting’s commitment to customer service is based on their mantra of “going the extra mile.” Over the years, this has shown up in the way that they take customer feedback to heart making improvements to their service as issues occur. They only offer tech support via tickets, but they’ll typically get back to you via email or phone within a few minutes – or if it’s an incredibly complex issue, you’ll only wait a few hours at most. When I submitted a ticket about a server issue I had, I received a phone call from their representative within 10 minutes, and he patiently walked me through the solution until he’d seen it through. Their ticketing system can be accessed in the Client Area. With such great offerings, it’s no wonder that Spiral Hosting has a satisfaction rate of over 90% – and most of their new customers are referrals from existing ones. Whether you’re a hobbyist blogger or the owner of a large e-commerce website, their services are definitely worth consideration. Wondering how Spiral Hosting stacks up against other Web Hosting companies? Enter any other Web Hosting company and we will give you a side-by-side comparison.